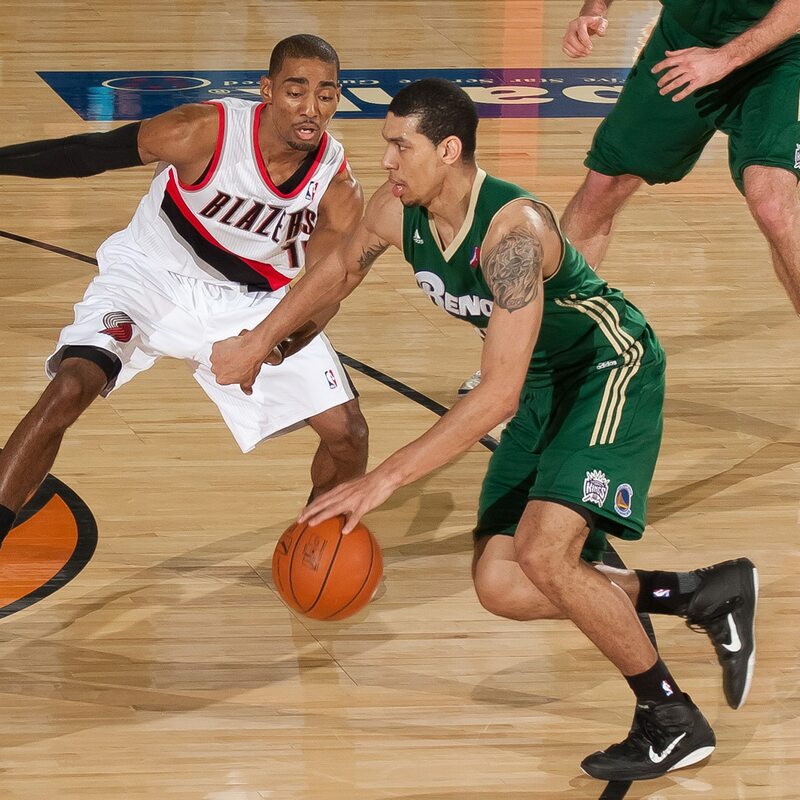 Founded in 2001, the NBA D-League has been a proving ground for elite young talent. About a third of all current NBA players have spent some time in the D-League. Here’s a look at just some of the former players who have spent significant time in the D-League who have gone on to make an impact in the NBA. Nowadays, most NBA fans know Danny Green as the Spurs’ sweet-shooting small forward, an athletic 6-6 shooter out of North Carolina who plays a major part in San Antonio’s success. He played a key role in the Spurs’ 2014 NBA title and 2013 Finals appearance, including hitting seven three pointers in Game 3 of the 2013 Finals against Miami. Whiteside, one of the most talented and promising young centers in the NBA, burst onto the NBA scene in 2015-16, leading the league in blocks and making the NBA All-Defensive Second Team. The 26-year-old 7 footer’s otherworldly athleticism and timing contributed to his emerging as a bright young star for the Heat. 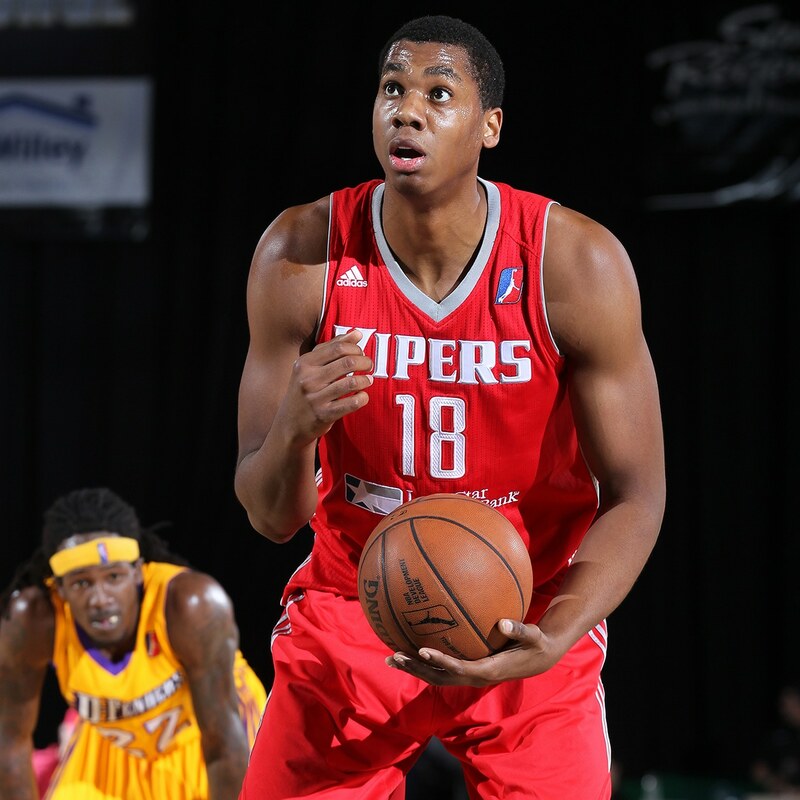 Prior to his explosion onto the NBA scene, however, Whiteside was a fixture in the D-League, appearing in 65 games for four different D-League clubs. In his time in the D-League, Whiteside showed flashes of his future potential, averaging 7.2 points, 5.5 boards and 2.3 blocks per game in less than 14 minutes per game. Shaun Livingston, an Illinois prep hoops legend, was drafted 4th overall by the Clippers in the 2004 NBA Draft and began his career as a budding star, a 6-7 point guard with otherworldly court vision. 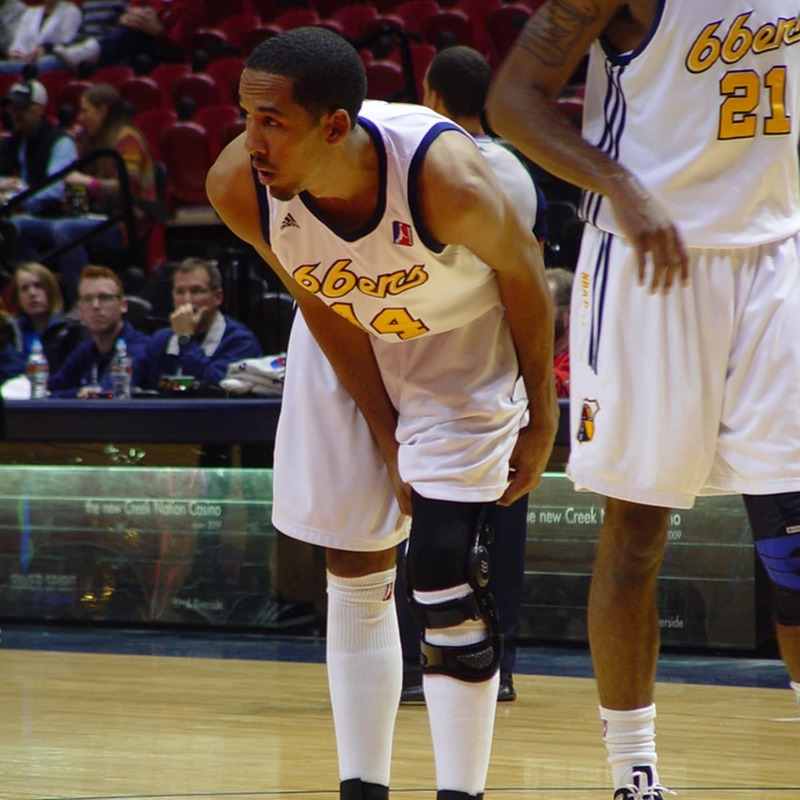 Tragically, Livingston found his career in jeopardy after a horrific leg injury in a game against Charlotte in February of 2007. After resuming basketball activities more than a year later and beginning the road to recovery, Livingston signed a contract in 2009 with the Tulsa 66ers of the D-League. Livingston spent 11 games with the 66ers, averaging more than 9 points and six assists and parlaying that performance into a contract with the Thunder. Livingston has been working his way back up the NBA ranks ever since, including most recently making a huge impact on the national stage in Game 1 of this year’s NBA Finals. Livingston is the perfect example of an immensely talented player who suffered a catastrophic injury and used the D-League to help him get back to the level he is today, playing a key role on one of the league’s best teams. In 2010, before Lin became an international star with the Knicks, and before he became an NBA mainstay guard, Lin was a rookie with the Golden State Warriors who was assigned to the Reno Bighorns for much of his first season. 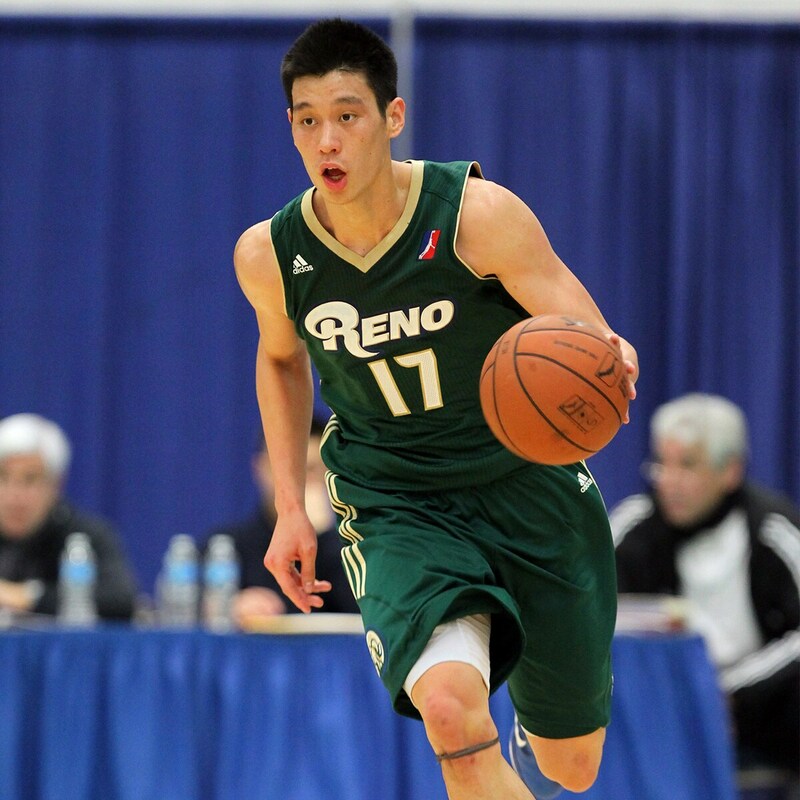 Lin played in 20 games for Reno (and later in one more for Erie), finishing his D-League career with a scoring average of more than 20 points per game. 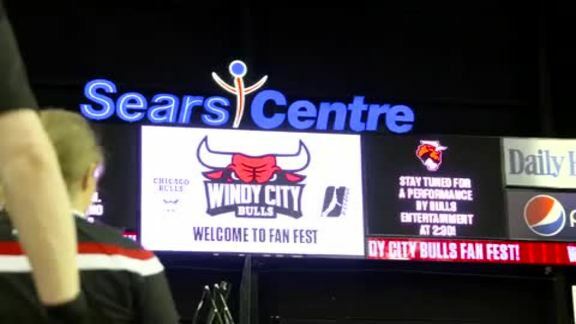 Fans may not have known it at the time, but those watching the D-League at the time were getting an early look at Linsanity. The athletic and talented former NBA Slam Dunk champ has had an up and down career, getting drafted in the first round in 2005 straight out of high school. After playing a handful of games for the now-defunct Fayetteville and Florida D-League franchises, Green bounced back to the NBA only to drop back out of the league after a few seasons with Houston, Minnesota and Dallas. Looking like his NBA career was over, Green spent a few years playing overseas, returning to the States in 2011 and signing on with the Los Angeles D-Fenders. Calling it his “last opportunity to prove myself”, Green used the D-League as a springboard back to the NBA. 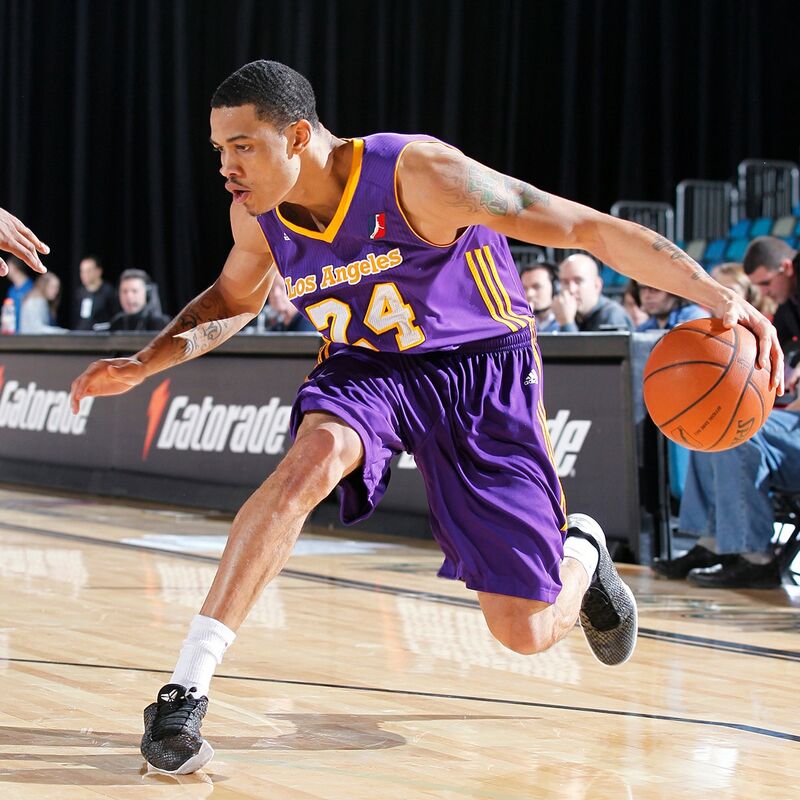 In 22 games with the D-Fenders, Green averaged over 19 points 4.5 boards per game, showcasing a good attitude and professionalism that allowed him to take advantage of the natural skills he possessed. His improvements in the D-League eventually led to a call from the New Jersey Nets, where he showed enough to earn another NBA contract. Green now plays a major role for a playoff team, providing athleticism and scoring punch as a swingman for the Miami Heat. Before point guard Cory Joseph became a fan favorite in Toronto as only the second Canadian player to ever wear a Raptors jersey, he was a key piece to the Spurs bench unit that helped San Antonio win the 2014 NBA championship. 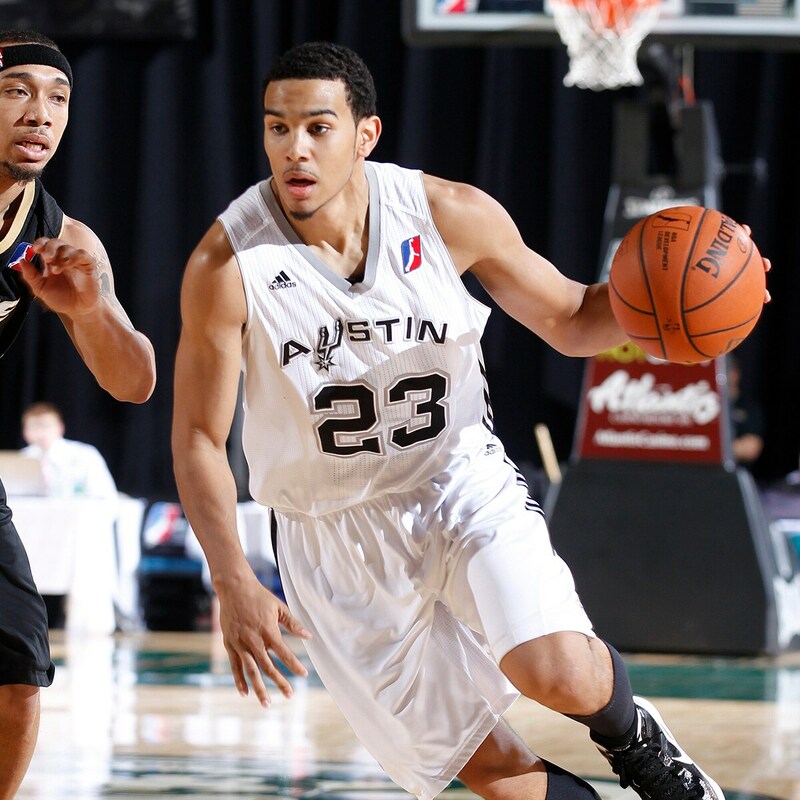 During his time in San Antonio however, Joseph worked on his game with the Spurs’ D-League affiliate, the Austin Toros. Joseph played 40 games over two seasons with the Toros, posting career D-League averages of 17.4 points, 5.4 assists and 1.7 steals per game and earning All-D League Second Team honors in 2013. The Spurs smartly used the D-League to develop Joseph’s game, and Joseph has taken those lessons from San Antonio – and Austin – and has created a spot for himself in the NBA as a crafty, smart point guard. Troy Daniels is the ultimate long range specialist, a player who has crafted a nice NBA career for three teams (Timberwolves, Rockets and Hornets) as a sharpshooter from downtown. But in terms of D-League storybook events, few things top Daniels’ debut for the Rockets. After going undrafted in the 2013 NBA Draft, Daniels signed on to the Rio Grande Valley Vipers, the Rockets’ D-League club, where he made his name as a marksman, breaking the D-League single season record for three pointers made in 2014 and being named to the D-League All-Third Team. Daniels’ play earned him a call up to the Rockets club, where he made their playoff roster as a guy at the end of the bench. With the Rockets in desperation mode, down 2-0 to Portland in their first-round series and with Game 3 tied in overtime with 20 seconds left, a combination of foul trouble and fatigue saw Daniels check into the game. After a mad scramble and a loose ball, Daniels stepped up and buried the go-ahead three-pointer that ultimately won the Rockets the game. 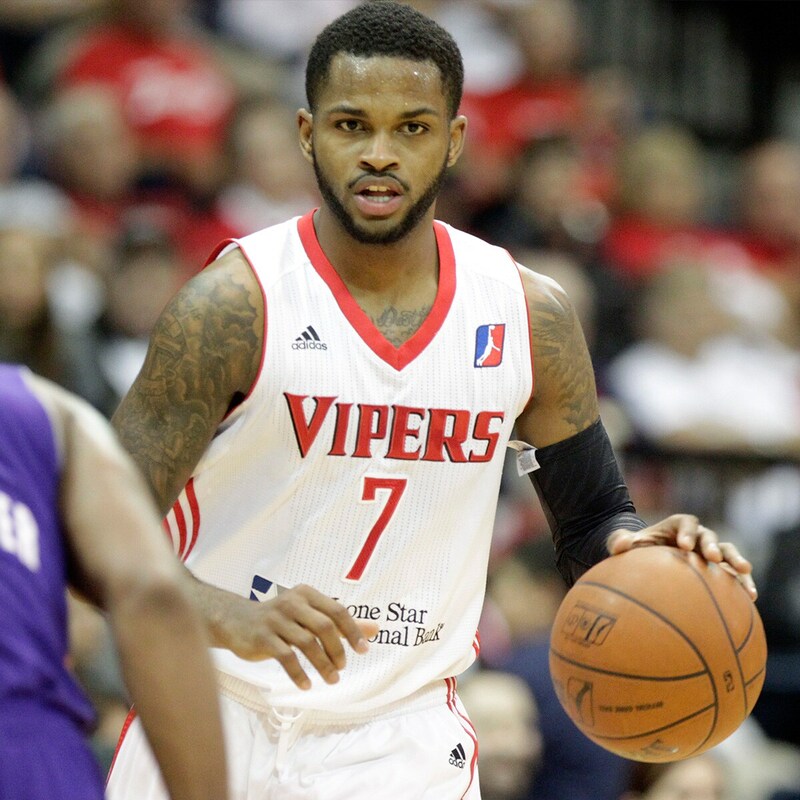 While many players have gone from the D-League to making an impact in the NBA, few players had quite as an immediate impact as Troy Daniels, who went from D-League player to making a game-winning triple in the NBA playoffs in a matter of days.